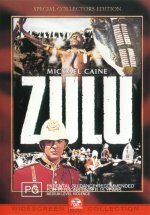 ��� Zulu is a classic British film. Both a commercial and critical success, Zulu is the rousing true story of courage, determination, and victory against all odds. ��� Zulu is the true story of the events that unfolded in South Africa, in January 1879. The story picks up immediately following the news that over 1700 invading British soldiers have been slain in battle by a highly organised and disciplined Zulu army at Isandhlwana, Natal, South Africa. The story behind this battle is told in the movie, Zulu Dawn (1979). The Battle of Isandhlwana remains one of the British army's greatest tragedies. However, this battle was followed by one of their greatest triumphs -- Rorke's Drift. The same Zulu Impis who just demolished and then massacred an entire British army, are now heading to a small British hospital out-post, at a place called Rorke's Drift. This small mission is guarded by just 150 British soldiers, with less than 100 of those fit for duty. Rather than retreat, these few soldiers followed their orders, to "stand firm", and they held out against a relentless attack by over 4000 Zulu warriors, that lasted for days, and which eventually degenerated into bloody hand-to-hand combat with spears and bayonets. ��� Since the Victoria Cross was instigated by Queen Victoria in 1856 for "extreme courage and valour over and above the call of duty", only 1354 have been awarded. No less than 11 of those were awarded to survivors at Rorke's Drift, which is the highest number of VCs awarded for any single British military engagement. More VCs would probably have been awarded, but the posthumous VC only began in 1905. Two of those 11 VCs were awarded to the commanding officers, an engineer sent to build a bridge at Rorke's Drift, Lt. John Chard (Stanley Baker), and his second in command, Lt. Gonville Bromhead (Michael Caine). ��� Zulu features an excellent script, which not only captures the human element of this drama, such as the terror of the soldiers in the face of what seems certain death, but it also manages to tease out realistic relationships and conflicts between the characters. The script also treats the Zulu people and their culture with a great deal of respect and understanding. The script also brilliantly manages to deliver a lot of important exposition, such as an explanation of Zulu battle tactics, without this ever appearing to be obvious. Zulu also features great performances by the aforementioned Baker and Caine, as well as from Jack Hawkins and James Booth. Richard Burton provides an opening and closing narration, and the South African politician, Chief Buthelezi, enjoys a small role as his ancestor, Zulu Chief Cetewayo. ��� Photographed on location by Stephen Dode, this movie features wonderful vistas that really capture the Natal landscape, and the feelings of loneliness and abandonment. (Note: John Sellars of HTV-LA, the colorist for the new Paramount/MGM restoration, informed me that the movie was �shot on 35mm 8perf horizontal (VistaVision) and ditributed in 70mm�). Considering the age of the source material, I was very impressed with the quality of the transfer. ��� The transfer is presented in an aspect ratio of 2.35:1, 16x9 enhanced. ��� The sharpness of the image is great, but the shadow detail is poor in some of the darker scenes. For example, consider the lack of shadow detail at 30:20. ��� The colour is wonderful and it is well saturated throughout. ��� There are no problems with MPEG artefacts. ��� The transfer suffers from severe aliasing throughout. Anything that can cause this does. Some scenes, such as grasslands, gain a shimmer across the entire background due to aliasing. This is the one major flaw with the transfer. There were also some rare examples of telecine wobble, such as at 3:47. ��� A variety of film artefacts appear throughout, but they are mostly small, and I did not find them distracting. One large example appears at 11:23. There is also a few scenes which exhibited slight edge enhancement, such as at 85:10. ��� There are 13 sets of subtitles present, and the English ones are simplified but accurate. ��� This is a RSDL disc, with the noticeable layer change placed at 49:14. ��� There are five audio options on this DVD: English Dolby Stereo-Surround, French Dolby Stereo, Italian Dolby Stereo, Spanish Dolby Stereo, and an Audio Commentary in English Dolby Stereo-Surround. Originally presented theatrically with 6-track magnetic sound (in some theatres), I had really hoped that this movie would be remixed into Dolby Digital 5.1 for this DVD, as it could really benefit from it. ��� The dialogue quality is generally very good, but the audio sync is sometimes slightly out, such as at 18:14. ��� The musical score is credited to John Barry, and it is in his distinctive, dramatic style, which suits the movie well. The movie also features the stirring Welsh hymn, Men Of Harlech. ��� The surround sound mix is very front-heavy, but the rear speakers are used effectively to help carry the score and provide some ambience. For example the tribal festivities at 4:14 and Barry's score at 12:14. ��� The subwoofer never made a noticeable contribution. ��� There are a number of extras. ��� An animated menu, presented in an aspect ratio of 1.78:1, 16x9 enhanced, with Dolby Digital stereo audio. ��� A very informative and interesting commentary provided by film historian, Sheldon Hall, and the 2nd Unit Director, Robert Porter. ��� Presented in an aspect ratio of 1.78:1, 16x9 enhanced, with Dolby Digital stereo surround-encoded audio, this is a genuine documentary about the movie, largely composed of interviews and recollections by cast and crew members. ��� Presented in an aspect ratio of 1.78:1, 16x9 enhanced, with Dolby Digital stereo surround-encoded audio, this appears to be an expansion on the above documentary. ��� Presented in an aspect ratio of 2.35:1, 16x9 enhanced with Dolby Digital stereo, this appears to be the original 1960s movie trailer. ��� Presented in an aspect ratio of 2.35:1, 16x9 enhanced with Dolby Digital stereo, this appears to be the trailer for the movie's re-release in the 1970s. ��� Zulu was released on DVD in Region 1 in at least two different, bare-bones, versions, as it was here. There seems to be no release of this Paramount version yet. ��� I have owned both the previous two DVD (Region 0) releases, one NTSC and the other PAL, and this is by far the best this movie has ever looked and sounded. ��� Overall the video quality is good, despite the awful aliasing. ��� The audio quality is good, albeit quite front-heavy. ��� The extras are plentiful, and genuine. Display Grundig Elegance 82-2101 (82cm, 16x9). Calibrated with Video Essentials. This display device is 16x9 capable.